= “May I have seconds?” / Do you have seconds for me? = Maggie sensei, kareshi iru? Hello,everyone! In response to a request from Z-san, I will make a lesson about いる＆ある ( = iru + aru). “there is/are” . While 「いる」( = iru) is for people or animal (=living creatures), we use 「ある」( = aru) for other things, such as things, events, concepts, etc. = Ano kado ni konbini ga arimasu. = There is a convenience store on the corner. = Toshokan niwa koukousei ga ippai iru. = There are lots of high school students in the library. = Ima doko ni iruno? = Where are you now? = Kinou koko de jiko ga arimashita. = There was an accident here yesterday. = Kare niwa katei ga arimasu. = He has a family. = Ii kangae ga arimasu. = I have a good idea. = Watashi niwa otouto ga futari imasu. = I have two brothers. Let’s check the pictures above! There are kanji for いる and ある. 1) The dictionary says that in the sense of ‘to be/exist’, both iru and aru are usually written using kana, but in the sense of ‘to have’, it doesn’t say this, suggesting that in that sense, you do use the kanji. Is this true? We tend to use kana for “aru” and “iru” not just in the sense of “to be/exist” but also in the sense of “to have” in modern Japanese. Japanese government tutorials for public documents also suggest that we should use kana, いる＋ある, instead of using kanji, 居(る)／有(る)、在(る), in the newspaper, public documents or text books along with many other kanji such as 事 ( = koto )、出来(る) ( = dekiru)、etc. = Maggie niwa sainou ga arimasu. You can see them both in kana and kanji but using kana is more common than kanji. 2) The dictionary lists two kanji for ‘aru’, 在る and 有る. Both are listed as meaning the same thing and being roughly equally frequent in use. When do you use one or the other, and why? You are right. They are both listed as in the same meaning in many dictionaries. They originally came from Chinese where there was a clear difference between them but the difference has become more blurred in Japan. Although we tend to avoid using kanji for “aru” nowadays as I mentioned above, if we have to use kanji, we would distinguish them as in the following cases. I would say we use 在 to indicate the location of a building, facility, etc. Also we use it when we want to emphasize the meaning of its existence not just buildings but also resorces, nature, group, statues, meaning or essence of things. = There is a mountain. = The Head Quarters is in Tokyo. = There is a car / to own a car. = Okawari ga mou nai mitai dakara kyou no ressun wa koko made ne. Mina mo moshi nanka ”konna ressun tsukutte”tte iu rikuesto ga attara oshiete ne. “Ki ga muitara! ?” tsukuru kara. = Since you’re not giving me seconds, I’ll wrap up today’s lesson. If you want me to make a lesson for certain topics, please let me know. I will work on it “if I feel like it!”. この テレビ は こわれて いるよ. 音 が できません. I have a question regarding いる vs. ある – so it says in the blog that the former is used for people and animals while the latter is used for events, objects, etc. I personally haven’t read it yet, since I’m a beginner to Japanese, but I understand that the honorifics used by the speaker imply high social stature (like nobility) despite the narrator being a mere cat—but I digress. Ah, that ある is not to express the existence. OK, you know this form, right? 私は犬です。(in my case..) I am a dog. You see this form in writing Japanese. How does iru/aru compare to desu/da ? “desu/da” also means “to be” in English. The difference is when you are talking about the existence /location of something/someone, you use iru and aru. Ex. He is at home = Kare wa ie ni iru/imasu. Ex. There is a dog in the park = Kouen ni inu ga iru/imasu. Ex. There is a bag on the desk/ = Tsukue no ue ni kaban ga aru/arimasu. Ex. The bag is in the room. = Kaban wa heya ni aru/arimasu. When you express, some quality, nationality, occupation you use, da/desu. Ex. Watashi wa Maggie da/desu. = I am Maggie. Ex. Kare wa nihonjin da/desu. = He is Japanese. Ex. Kore wa watashi no kasa desu. = This is my umbrella. 日本に山がある is just a factual thing. 日本には　is more explanatory. You bring up a topic, 日本 and explain what they have in Japan. I love May which has lots of holidays. The kitchen which has a refrigerator. If you want to learn more about how to modify a noun, check this lesson. →Click this link. I was trying to figure out how to say “dogs that don’t have wings” in Japanese, and I thought it would be 翼がない犬. However, Google Translate (which I know is not very reliable) gave me 翼のない犬, and I also know of a few other examples where の is used instead of が here (for example, 君のいる町, 名前のない怪物, etc). If it’s not too much trouble, could you please explain to me why の is used instead of が here, and whether that applies to other verbs in addition to いる and ある? a further query on iru/aru. When talking of bacteria, viruses, or bugs/insects, etc., which do I use? I know that plants are considered ‘inanimate’ because they don’t move, but germs or creepy-crawlies? I recently saw a post that a writer incorrectly wrote “Watashi wa inu wo motte imasu. 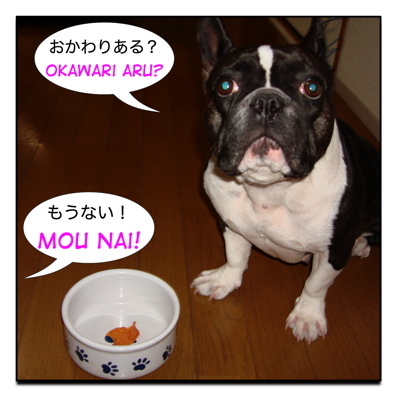 Anata wa arimasu ka?” of course intending to mean “I have a dog. Do you have one?” Couldn’t this be completely correct if, say, the conversation were about taxidermy (剥製術)? Or stuffed (toy) animals for that matter. Then with the living-いるvs non-living-ある thing – if someone said “犬がある”, would a native Japanese automatically think that there’s a dead animal somewhere? Haha, thank you for being sensitive. I don’t think we automatically think there is a dead animal when we hear 犬がある. We just think it’s wrong Japanese. So 犬がある is just wrong in either/any case? Right. Unless it is a stuffed animal/doll/statue. But wouldn’t you say 魚がある at a fish market? It’s because you consider 魚 in the fish market is considered to be food. I wonder if you could help me with a book (A dictionary of basic Japanese grammar) that I am reading. For ある, it says “When ある is used to express the idea of having and the object is animate, that object must be someone who maintains a very close relationship with the possessor, such as a family member, a relative or a friend. Thus, (4) is acceptable, but (5) is odd. Whenever I use ある in this way, I am corrected and told to use いる instead which makes sense to me. Even in the いる section of the same book is the sentence 「私には子供が三人いる」. Do you think the use of ある is just very very rare or maybe it has become outdated since the books publication? Thank you for your help! Also love your website it has been very helpful :)! I wouldn’t say the book is wrong. As the book says, you can use ある when you are talking about someone close to you. could be getting outdated and not many people say that anymore. However, I did a Google search and found out one thing. One thing about your research. Uncle Google sometimes doesn’t count correctly at fist glance. “子供がない” = 16件　(Just tip “子供がない” scroll down, click 次へ and then you will see only 16件 instead of 1 980 000). I personally would avoid using ある in this case. Oh my.. you are right. After all, I learned I can’t trust Google research results number. Have to check the next page. haha. Thank you! But is it ある because it’s considered food, or because it’s not living? I think what I’m trying to get at is, does ある imply that something is dead (or that it was once a living thing) where otherwise いる would be used? Here’s an odd example – If my grandmother had died and someone asked “Where’s Grandma(‘s body)?” would (could) I say something like “隣の部屋にある” (she’s in the next room)? I’ve probably annoyed you much too long, so I’ll stop here – but that’s what you get when you give such great explanations. Thanks for always entertaining my weird questions as though they are as important to you as they are to me. You both do such great and wonderful work on this site. I really appreciate it. Thanks! おばあちゃんは隣の部屋にいる and treat them as if they are alive with respect. If you say ある, it sounds really cold and you may offend their family. I you found a dead animal , just saying (animal) がある is strange. Hello! I have a question. what would the sentence “doushite kowarete iru no?” mean? I’m having a bit of trouble figuring it out. I was taught いる is for living things and ある is for non-living, but then how come いらない can be used for anything? E.g I heard people say 心配いらない and 傘はいらない? Sometimes I see in anime the word 嫌い but the romaji will be ぎらい instead of きらい? And they pronounce it ぎらい? That sometimes happens in a compound word. Note: 人間嫌い= Misanthrope = A person who hate people. Thanks so much! I was really wondering about that! Hi, your site is great! I just had a question. Do you always have to use particle が when followed by あります or います? Because I heard someone say まだ時間はあるよ and I was wondering why he said は instead? It depends on the situation and what in the speaker’s mind but when you show the contrast we use は. Usually you use は when you emphasize what comes before, in this case 時間. 田中さんがいます。 = Tanaka-san is here (there) / There is Tanaka-san. Now you are supposed to meet Tanaka-san and Kato-san but you only see Tanaka-san. 田中さんはいます。（でも加藤さんはいません。） = There is Tanaka san but Kato-san is not here yet. Hi, I stumbled upon your site through google, and after reading this lesson (which is great btw, totally gonna use your site more) I have a question. Maybe you already covered this in a different lesson I don’t know, but anyway what I don’t understand is why you sometimes use “には” istead of　”は”. Like in this example “彼には家庭があります”. I have seen this before too but I never understood what the difference is. Is it used only with いる and ある verbs? I see now, thank you! = Neko to inu ga ite, hon ga aru. Kon nichi ha, Maggie sensei! If an inanimate noun qualifies an otherwise animate subject, will the verb be iru after the subject or aru after the qualifier! Hmmm I can’t think of the example now… Oh how about this one? Ex. ロボットがいる = There is a robot. I will add more if I think of other examples. Both of them are correct. It looks like there is a cafeteria in boy’s dormitory. It looks like the boy’s dormitory has a cafeteria. Maggie sensei can you explain te form +aru.. Someone just asked the same thing so I will make a lesson on てある sometime soon. Please wait. I would be really grateful if you could briefly help explain what にある means. Thank you. We don’t use ある for people. We are supposed to say 私は新宿にいる／います so 私は新宿にある。doesn’t make any sense. Where did you see the sentence? I saw it on a Japanese tv show. How should someone interpret the sentence grammar. The ある is in reference to the Hokkaido coming to Shinjuku? First of all, it is 北海道 not 北海度, right? I can assume the speaker is talking about a place (supposedly a restaurant or bar) in Shinjuku where they serve typical Hokkaido food and place where Hokkaido people hang out. If so, this ある refers to a place not 私 and it makes sense. It is some kind of metaphor. Yes, it was a show about a product exhibition of Hokkaido food. Ok that makes sense so to break down the sentence from the 私は, since that would not make sense if it was connected. Sorry for the confusing question, I’ll make sure to provide more detail next time. I am glad we solved the problem!! Thank you for activating the comments, hehe. Some time ago I read the sentence パトカーがいます。Since the car is an object, how can that be? Is it because there are people inside? Does this apply to other objects? Or is it just incorrect?